I mean, really, what do they matter? They’re just a person’s opinion. A review might have been written when someone was in a furious mood – maybe their goldfish had died, or they’d eaten a bad egg sandwich. Everyone knows this, but when you’ve made something yourself and it’s out there, being given the thumbs up or down, then of course it matters a lot what others think of it. These days everyone reviews everything, all of the time. I buy some vacuum cleaner bags and next thing, up pops an email asking if I’d care to review them. WHAT AM I MEANT TO SAY ABOUT VACUUM CLEANER BAGS? They are bags! They fill up with dust, dirt and weird fuzzy stuff. What else is there to say? Books, of course, are different, as we tend to have pretty strong opinions about what we’ve just read. 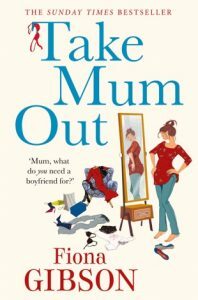 And authors want to know what those opinions are, even if we say, ‘Oh, I never read reviews.’ Take Mum Out, my latest novel, came out three weeks ago and guess what? I’ve been checking my Amazon reviews as often as the chilli seeds I planted in a plastic pot – ie, daily. I know: embarrassing. As my 17 year son put it, ‘You are a boring middle-aged woman.’ Luckily, the reviews are making me happier than the progress of the chillies (a tiny sprouty thing poked out of the soil, then keeled over and died). Of course, everyone gets the odd iffy review too. Sometimes, a certain phrase sticks in the mind for months, even years after it was written. Like this one: ‘This book was just one sentence after another.’ What on earth did she mean?! I still think about it now, occasionally – in the the way that I’ll never forget a scaffolder yelling, ‘Your arse looks like two footballs’ – back in 1983. ‘My daughter agreed,’ the reviewer added. Now I imaged the two of them, muttering together about my piled-up sentences. As for positive reviews, naturally any author is delighted by praise. Yes, glowing reviews can boost sales, but there’s more to it than that. Writing a novel is a fairly long-term endeavour – mine take about nine months – and every author I know suffers terrible crises of confidence from time to time. At around the middle bit, usually, when the euphoria of starting something new has worn off, and you’re not yet charging towards the finishing post. (I sometimes joke that chapters 3-40 constitute ‘the difficult middle bit’). When you’re feeling that way – worrying that it’ll never come right – then reading a few enthusiastic reviews of the previous book goes a long way to restoring confidence. ‘Well, she liked it,’ you can tell yourself. ‘She found it funny and snorted with laughter on the bus.’ Then, as if by magic, getting on with the book-in-progress feels a little less daunting. If you’ve enjoyed a book, I’d encourage you to take a few moments to post a review. Even if you wanted to set it alight and drive over it in a truck, then you are, of course, still entitled to share your opinion. Reviews matter, in that they can get people talking and encourage others to act on your recommendation. They can even make or break someone’s day. So please, don’t believe any writer who says they don’t read them. They do, even if they’re peeping between their fingers.